The Battle Tree is a facility located on Poni Island in Alola. It can be accessed through Poni Gauntlet after becoming Champion. Single; both you and the opponent use three Pokémon, one at a time. Double; both you and the opponent use four Pokémon, two at a time. 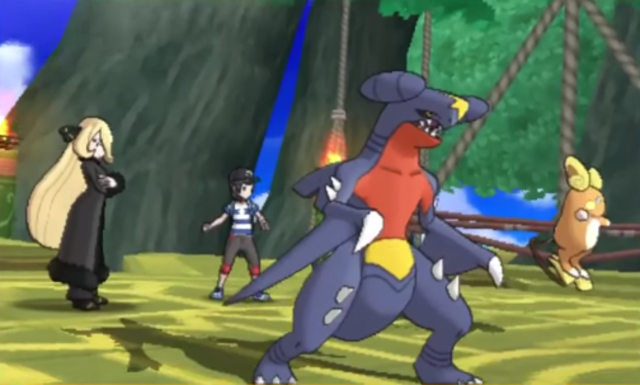 Multi; both you and the opponent team up with another Trainer, either another player or an NPC. Each player uses two Pokémon, one at a time. A Super version of each format is unlocked when you first beat the Battle Legend for the format, such as Super Single Battle and so on. The normal battle formats are limited to streaks of 20, while the super battle formats don't end until you lose. Battle Points can be used to buy items at the Battle Tree or the Battle Royal Dome. After defeating an opponent in Super Battles, you get the option to Scout the opponent. This will add the Trainer to the list of NPCs you can choose to do a Multi Battle with. Scouting a Trainer costs 10 BP, and you can only scout a Trainer in Super Single or Super Double Battles. In Super Battles, special Trainers appear every ten battles. Some of these Trainers have their own theme when battling them. Their teams are randomly selected from a group of Pokémon specifically preset for each of them. These special Trainers can also be scouted, except for the Battle Legends.